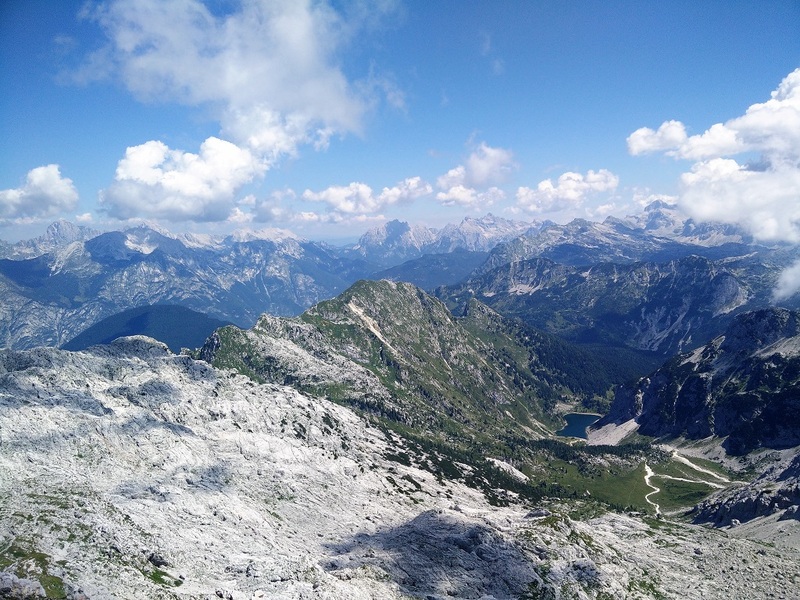 Batognica is a 2164 meters high mountain in the Julian Alps in Slovenia. It lies just next to the 2244 meters high Krn which is much more popular. Batognica is, however, a very interesting mountain – also historically. 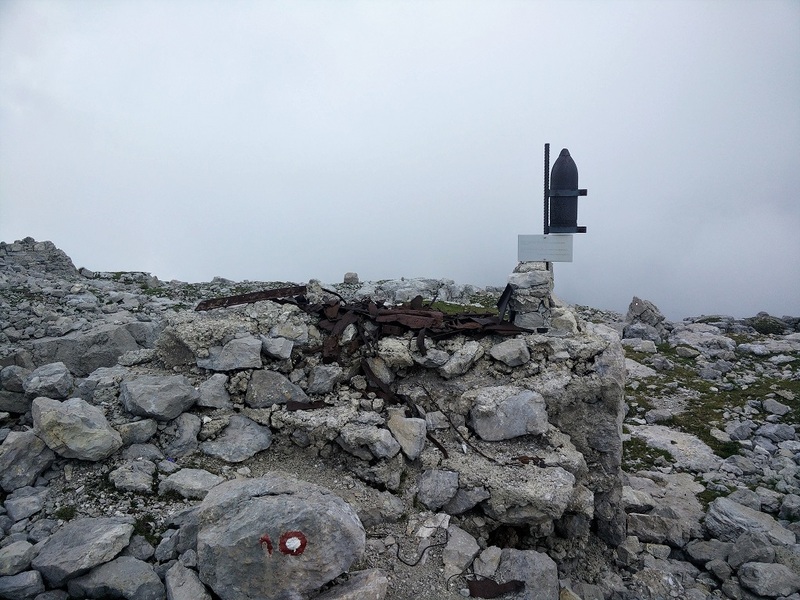 In the First World War Batognica was occupied by both Austro-Hungarian troops and Italian troops which were fighting against each other in this mountainous region. The Austro-Hungarian troops were occupying the eastern part of the mountain while Italian troops were located in the western part. Note that Batognica is not a typical pointy peak but more like a very high plateau. 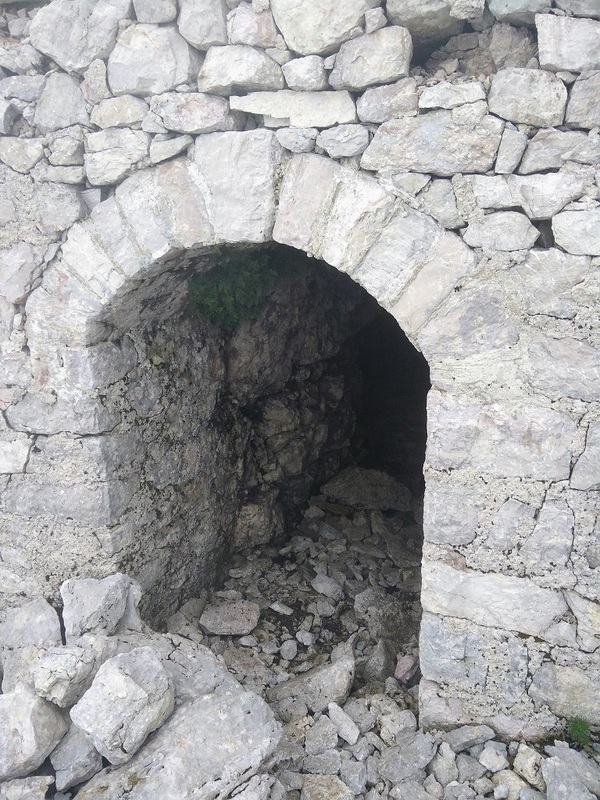 Because no side could push the other off the mountain, the Austro-Hungarian troops dug a tunnel under the Italian positions, filled it with explosives and blew it up. You can still see craters of this explosion on the top. Furthermore, artefacts such as barbed wire and shrapnel are also still there. 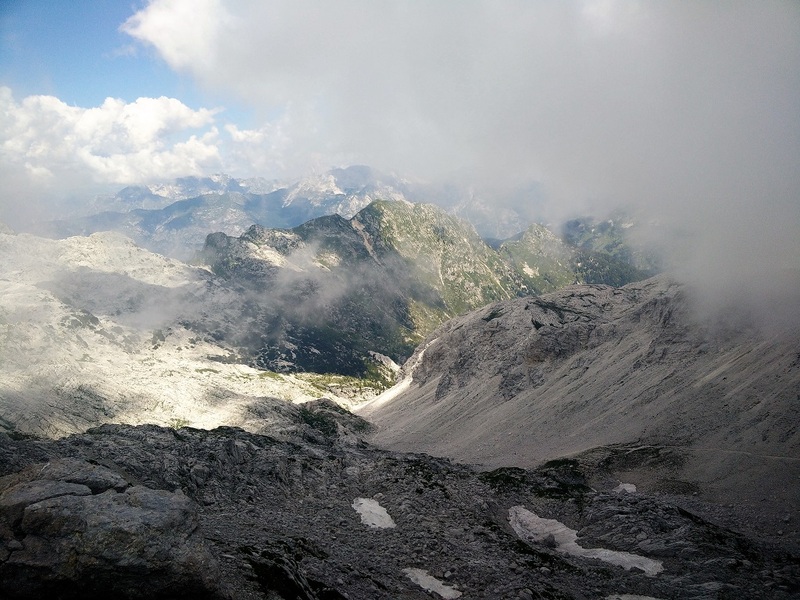 We decided to climb Batognica because of its historic value and the weather. Thunderstorms occurred almost every afternoon in July and therefore we wanted to climb a mountain with a shelter nearby. 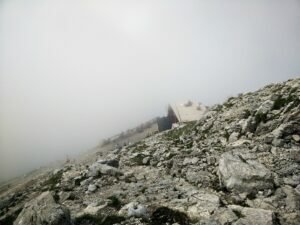 The mountain hut beneath the Krn peak is only half of an hour away from Batognica and thus Batognica was a great choice. 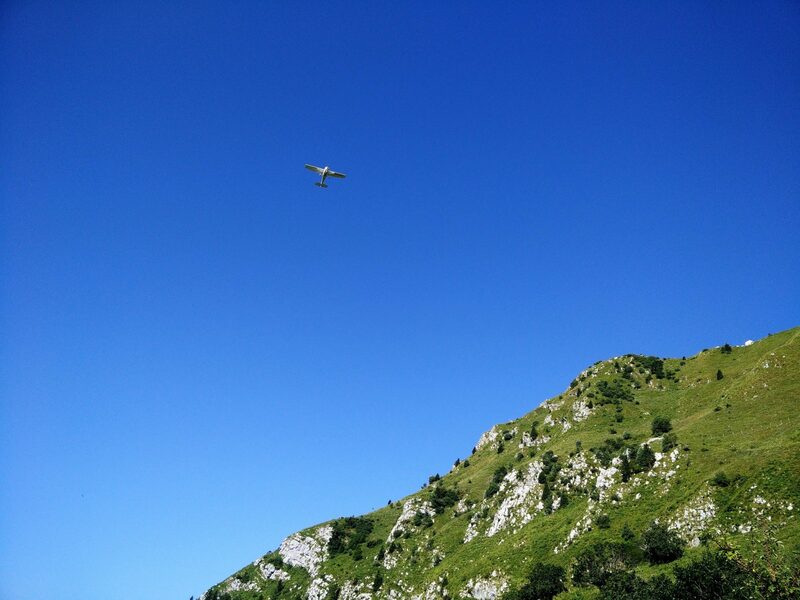 Due to the possibility of thunderstorms we also decided to first ascend Krn and then continue towards Batognica. 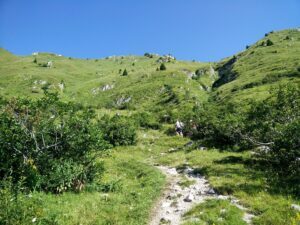 The trail from Krn to Batognica crosses some exposed areas (might be a problem if you are afraid of heights) but besides from that it is suitable for everybody in a good shape. However, in winter you will need additional equipment, such as crampons and ice axes. 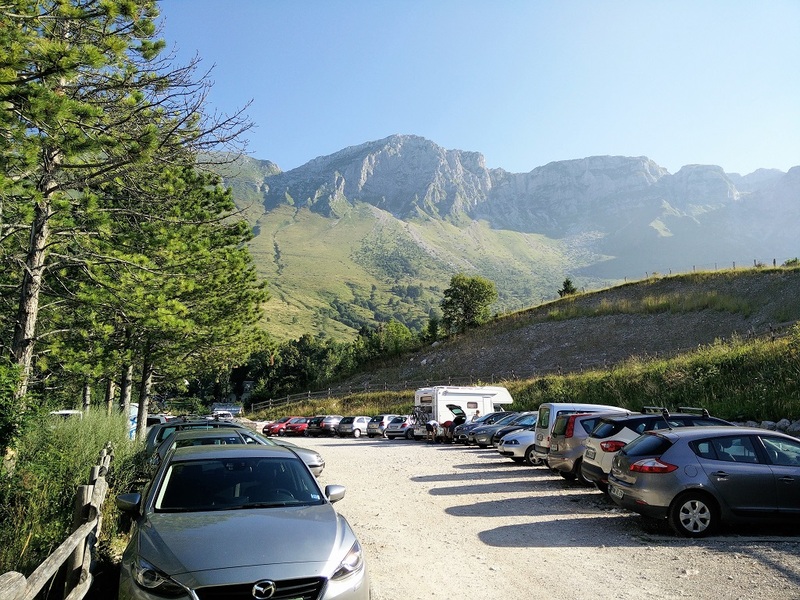 The Batognica trail starts in an idyllic village called Krn (not to be confused with the mountain Krn) which lies 850 meters above the sea level and has a large free parking place for hikers and mountaineers. The village is due to its remoteness not accessible by public transport. The closest you can get is to Tolmin. If you are coming from the north (e.g. western Austria or northeastern Italy), drive along the A2 expressway (Austria)/A23 highway (Italy) towards Tarvisio (Italy). Then take the Tarvisio exit and drive towards Cave del Predil. After Cave del Predil drive through Bovec and Kobarid towards Tolmin but only until you reach the direction sign for Kamno (on the half way between Kobarid and Tolmin). Here turn left, drive to the village of Kamno and then follow the direction signs for Krn. After driving for approximately eight kilometers you will reach the Krn village. 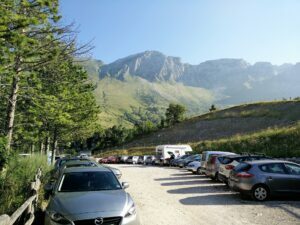 The parking place is at the end of the village – coordinates 46.241289, 13.663046 will lead you directly to the parking place. If you are approaching from Italy, drive to Udine and continue towards the Slovenian border by passing Cividale del Friuli and Pulfero. Then drive towards Tolmin but only until you reach the direction sign for Kamno. 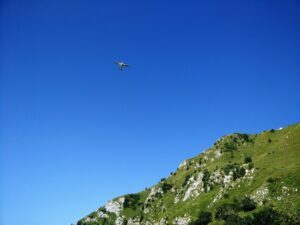 From here on continue as described above to reach the village of Krn. You can also reach the Krn village from the east. Drive along the southern stretch of the Slovenian E61 highway and take the Logatec exit. Then drive towards Tolmin and Kobarid but only until your reach the direction sign for Kamno (between Tolmin and Kobarid). Here turn right, drive to the village Kamno and then follow the direction signs for Krn as described above. Part of the trail to Batognica is shared with the popular Krn peak and the trail is therefore well-marked with painted red and white circles on trees and rocks. However, the trail is well-marked only to Krn and therefore we recommend bringing a map or using our GPS track which you can download for free above. The Batognica trail is suitable for everybody in relatively good shape but note that it crosses some exposed areas between the Krn Peak and the Batognica peak. Therefore, it might not be the best option if you are afraid of heights. Also, if the trail is covered with snow (winter, late fall and spring), you will need crampons and ice axes to safely climb the mountain. We don’t recommend doing this trail if it is covered with snow, unless you have experience with winter hiking. From the parking lot in Krn village, start hiking on the wide dirt track towards north. The path will soon turn towards west and after hiking for 400 meters altogether you will reach the direction sign for Krn. Follow the direction sign and start ascending on the narrow path towards north. After 900 meters you will reach a former military complex with drinkable tap water. Hike past the buildings and follow the direction signs for Krn. 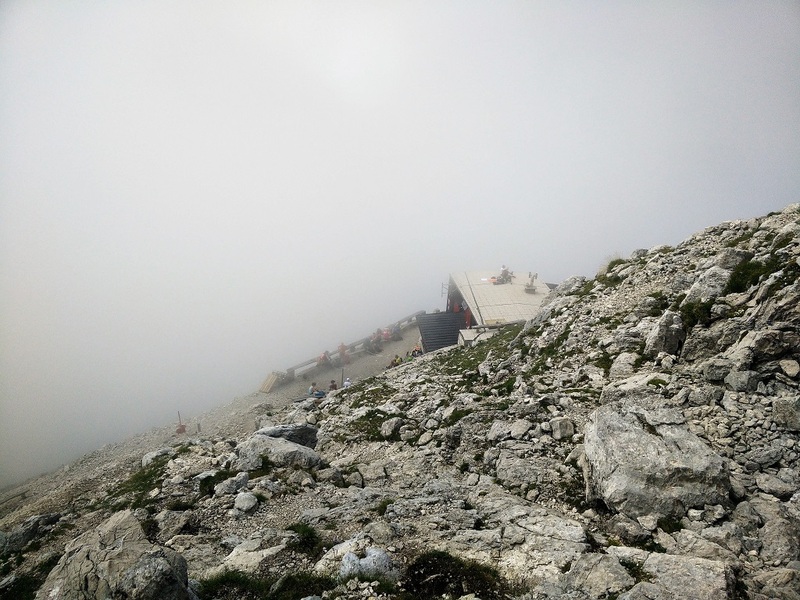 After hiking for 4.8 kilometers altogether and ascending 1180 meters you will reach the mountain hut beneath Krn. To our surprise the mountain hut was closed in July. However, there were tables and chairs outside and thus we made a lunch break there. From here you have only 10 minutes of hiking left to the top of Krn. On the top of Krn you will see a narrow path that leads towards northeast in the direction of Batognica. However, there is no direction sign for Batognica – instead there is a direction sign for “sedlo”. 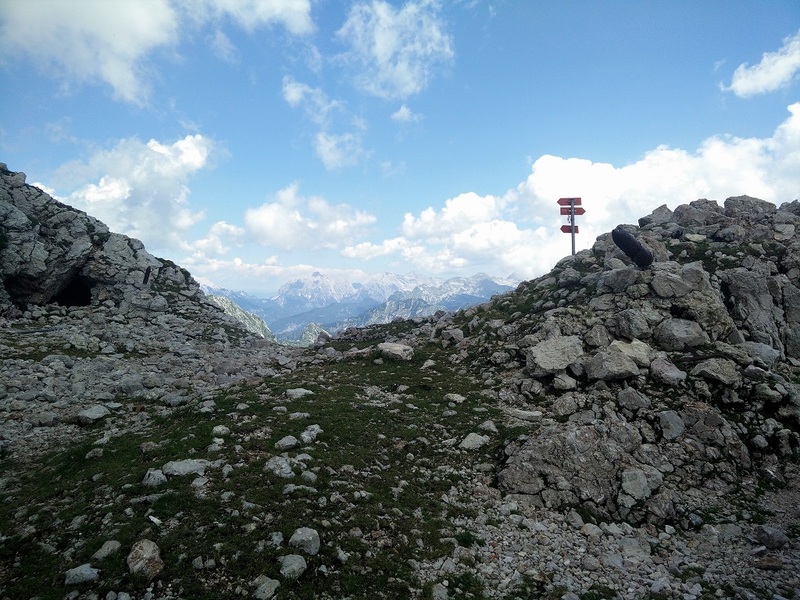 Follow the direction sign for “sedlo” and after hiking for 700 meters and descending 200 meters you will come to a saddle between Krn and Batognica. Here you will see some artefacts from the First World War. Many paths cross on the saddle, and you should take the path that goes towards southeast, to Batognica. Again there is no actual direction sign for Batognica. Here the path becomes very exposed and on some stretches it has a steel cable for safety. After ascending for 100 meters or so you will reach the top of Batognica. On the top you will see many bunkers and artefacts from the First World War. 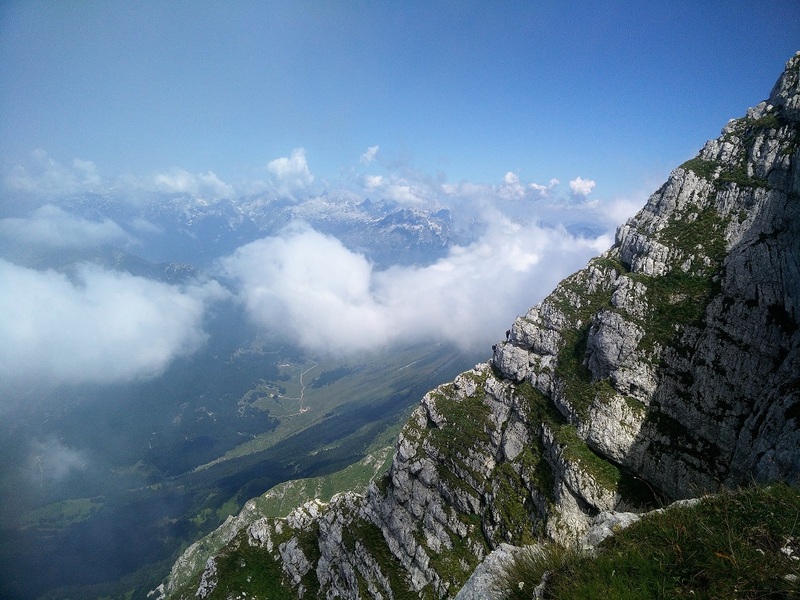 In case of good weather, you will also have a great view on the surrounding peaks (towards north and west) and on the valley beneath (towards south). From Batognica, descend back to the saddle and take the path that goes in the direction of southwest. 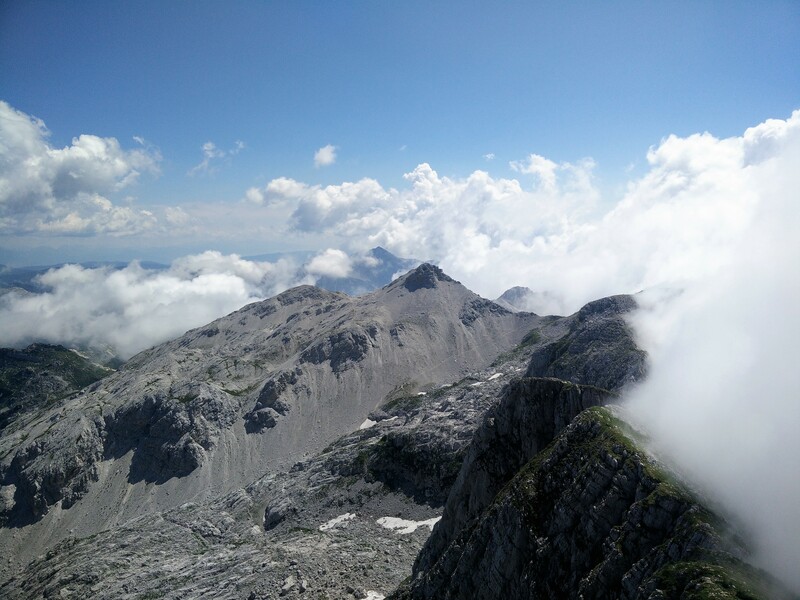 After hiking for approximately 1.3 kilometers the path will merge with the path that led you to the mountain hut beneath the Krn peak. From here, you have 3 kilometers of hiking left to the parking lot in village Krn. There is a mountain hut close to the parking lot and unlike the mountain hut beneath Krn this one was actually open. There you can buy warm food as well as drinks. The prices are very reasonable and thus we recommend stopping there after the hike. Because there was a chance of thunderstorms I took a little more gear with me than usually for summer hiking. In my Osprey Talon 22 daypack I was carrying the Mountain Hardwear Monkey Man fleece jacket, Montane Minimus rain jacket, food, water, sun cream and some accessories. While hiking I was wearing the Icebreaker Tech Merino t-shirt, Montane Terra Pack pants, Salewa Mountain Trainer Mid hiking boots and a sun hat. As it was very warm throughout the hike and no thunderstorms occurred, I didn’t need anything but the sun cream from my daypack. 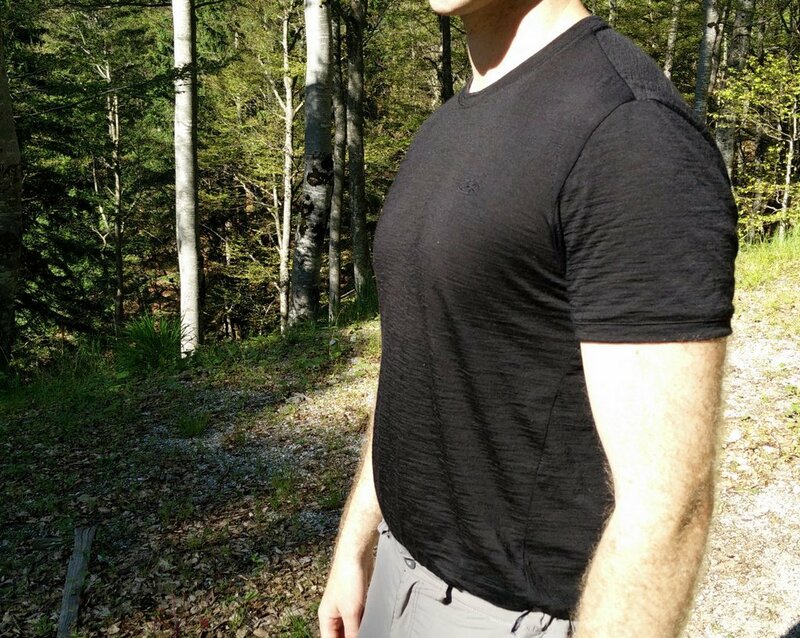 The Icebreaker Tech Merino t-shirt has been my favorite base layer for a while now. 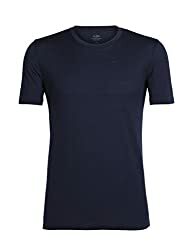 The Merino wool fabric is super soft and comfortable. Furthermore, it is also very porous and therefore it provides great breathability and dries very fast. As the fabric is very thin, the t-shirt is perfect for very warm conditions. However, the most impressive thing about this t-shirt is its odor-control. Even after very long hikes on which it gets completely soaked with sweat it doesn’t get smelly. 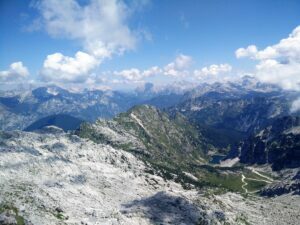 The Batognica trail is a great day hike in the mesmerizing Julian Alps. It is best for those who are fit and not afraid of heights. The trail also leads you past the fighting lines of the First World War. Along the trail you can see many items from the war and imagine how the warfare in this mountainous region played out. Before going on this hike check the weather forecast and pack according to expected conditions. 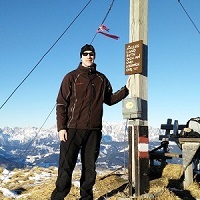 ← How to Pack Lighter for Hiking and Backpacking?